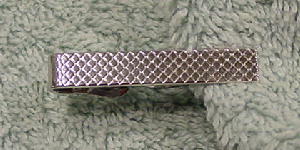 This never-used silver-tone tie clip has a ridged diagonal pattern. 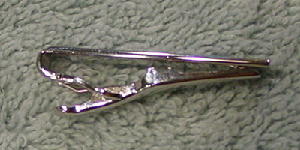 The tie clip is shinier than it appears in the picture. A male model got it as a present, but he only wears gold-tone.